Now I´ll be out for a few hours. Saudi League and Cup show up in Tournament Mode instead of Fifa Tournaments. Ok it will be fixed. 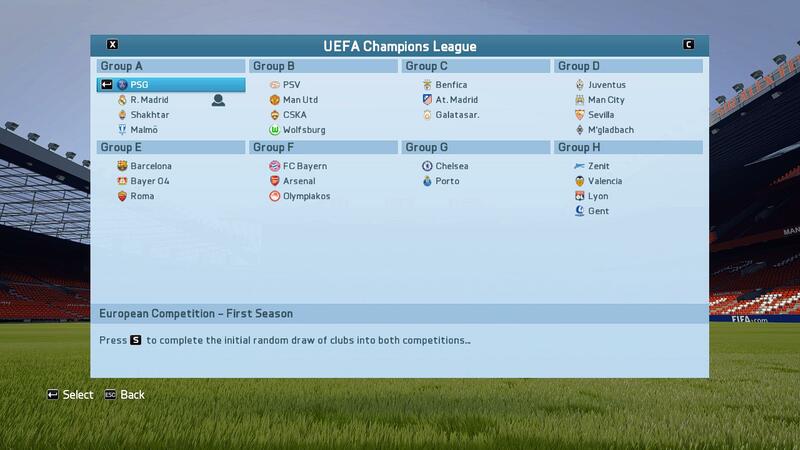 (10-21-2015 09:10 PM)j_jovan66 Wrote: Champions League problem ? the game itself off when choosing teams from Brazil, a friendly match ...,error occurs when selecting Santos !? I´ve just tried friendlies with brazilian teams and no problem. (10-21-2015 07:59 PM)oscato Wrote: @Ariel incluye el Revolution Mod 1.0?? For me , unfortunately, the game does not work, but only after the election of Santos , plus I do not have beef despite all tournament mode selection before starting the game on the game mode ? Your game crash when selecting brazilian teams ?